BradUffner has begun a mysterious construction. Raw explorer is a tool designed to let you visually browse, edit, and create Raw files for Dwarf Fortress. 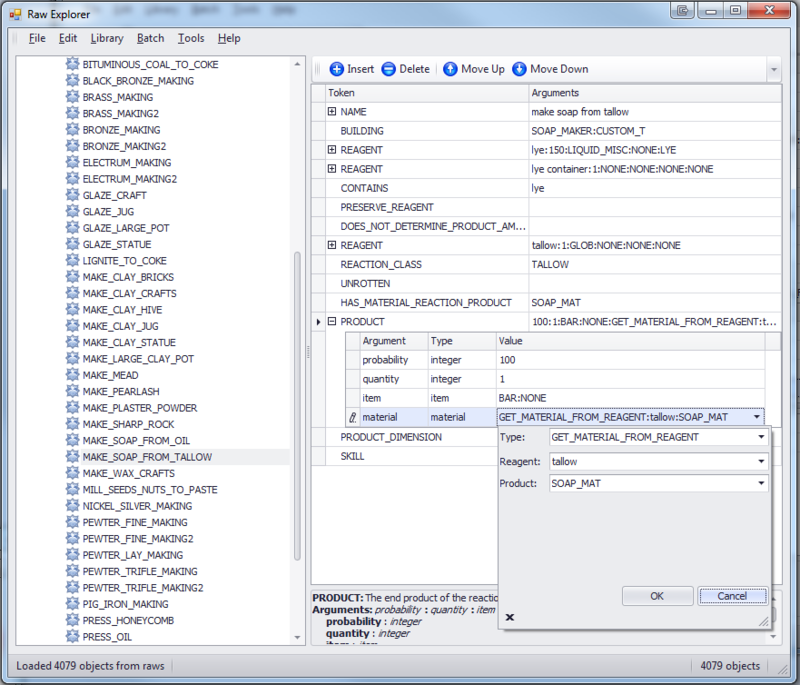 All the objects defined in the raws are categorized and displayed in a tree, with all the tokens of the selected object displayed in a searchable grid. 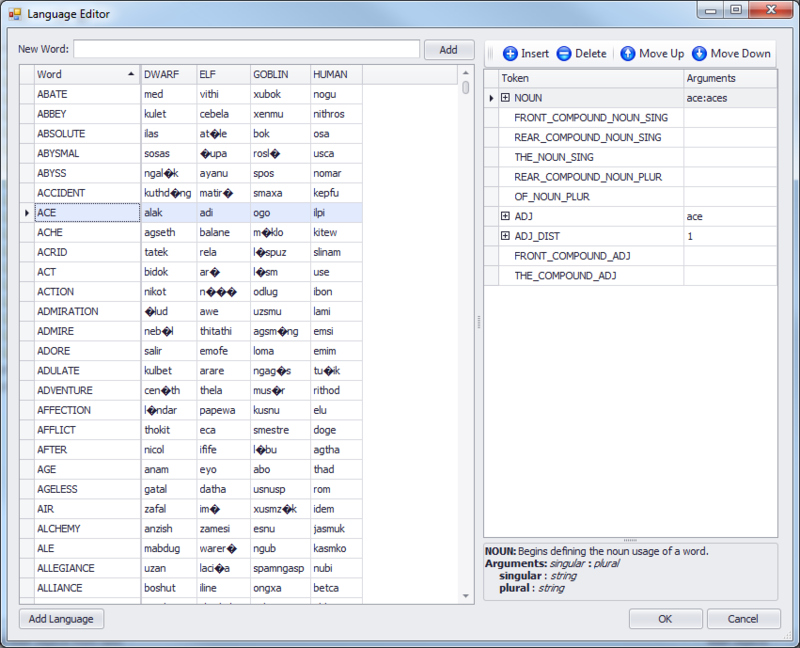 The tokens can be edited directly in the grid with simple controls that help ensure the proper syntax. Thanks to a great community almost all the major tokens and their arguments are fully documented. An easy to use definition editor will let you upload definitions for undocumented, or new tokens with just a few clicks, making them available to anyone else. When inserting a token you can select and insert multiple tokens at one time. Newly inserted objects are sorted correctly now. A fabulous new application icon. Many more small bug fixes that I've lost track of. Fixed ability to delete Objects and Tokens. 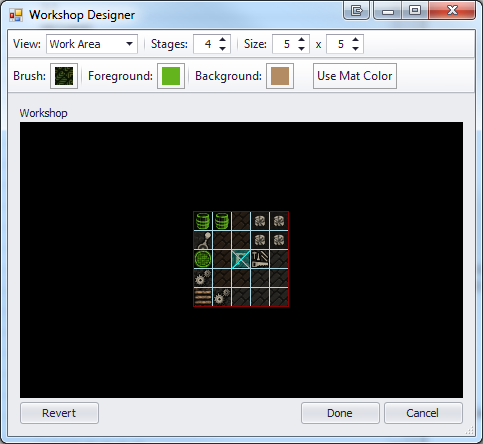 Added Graphic set Editing with Tile Editor. Look for it under the "Library" menu. 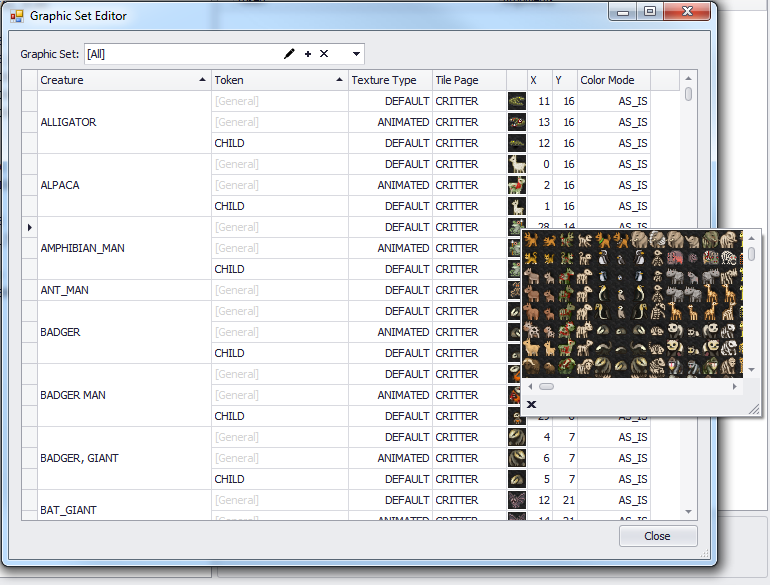 Context menu in Object Editor now works when there are no tokens. Creating a new object will default the object to the type of the currently selected object. Added context menu to object category tree nodes to allow creation of a new object of the selected type. 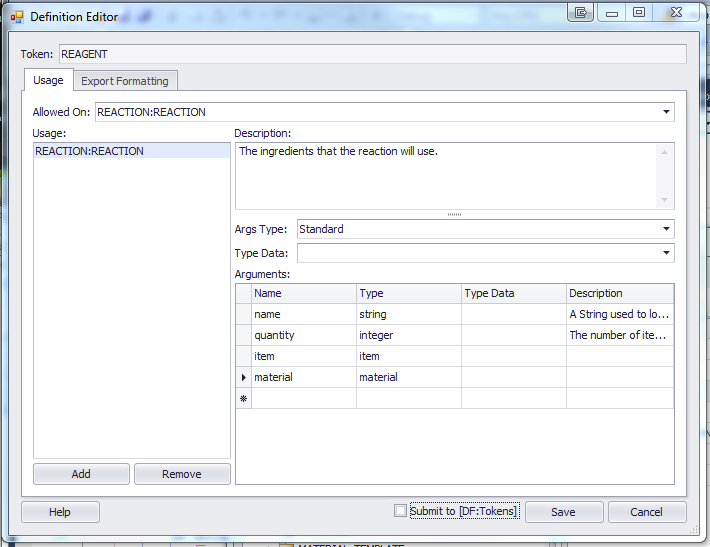 Raw Explorer requires the .NET Framework version 4.0. This is amazing! Being a dabbling modder myself, I'm looking forward to being able to use this. The only feature you haven't mentioned that I'd like to see would be a simple search/filter function. Being able to search all the files by the name of a creature/item/material/whatever would be nice. Even cooler would be if you could define any tag or combination of tags and be able to filter out anything that has those tags. An example would be searching for all creatures with the QUADRUPED or QUADRUPED_HOOF tokens and with the [GRAZER] tag to display all four-legged herbavores. To make magma-proof, set melting/boiling temperature higher than 12000. To make magma proof, set magma to be brewable. Custom transformations got you down? Honestly, even a good viewer like this is ultra helpful. I have problems wrapping my head around the pure-text sometimes (I'm too addicted to my programming IDE's ). A beautiful idea with just the right amount of ambition. Just so you know, there have been various attempts at this sort of thing in the past. The one I remember (and apparently the most recent) is here. That's all planned! In addition to that there will be the ability to apply commands as Batches to all objects that fit some criteria, as in "Add / Remove [Token] to all these objects", as a single step. I may upload an alpha version of this soon, as long as everyone realizes that it's buggy as hell (no input validation) and is missing a ton of even the most basic features. 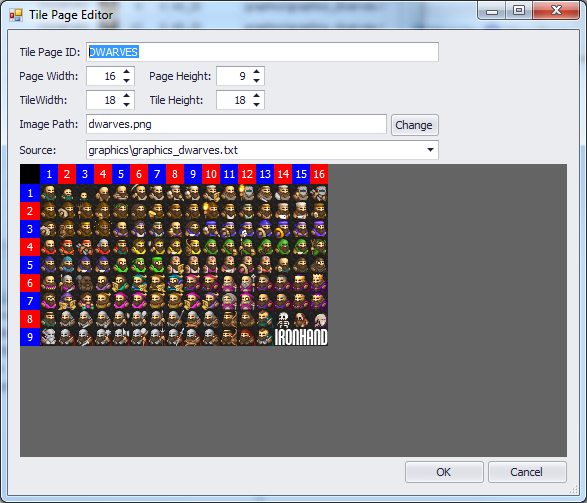 Then this tool could very well become my favorite modding tool ever. Good luck to you in making it! I added a preview build up in the first post... be kind. This tool would be an absolute dream. Hell as it is with the ability to edit the fields would be amazingly useful, get all the other features mentioned in and this would be total win. Good luck! Just to be clear, I should be selecting the "raw" folder when I load it up, not the main dwarf fortress folder or the raw/objects folder, right? Correct. I'll run it on my local copy of IronHand and see what happens. It ran fine on the new Iron Hand set for me. My best guess at this point is that point is that you have a duplicate object in your raws someplace. I'll be adding better checks for this kind of thing in the future. At the moment if it encounters anything unexpected it blows up badly. If you zip up your raws and send them to bradley.uffner@gumpstudio.com I'll take a look. It can't hurt to have a set of custom raws for me to test against anyway. There you go, sent 'em to ya. I ran the program against the raws you sent me and I didn’t get any errors. 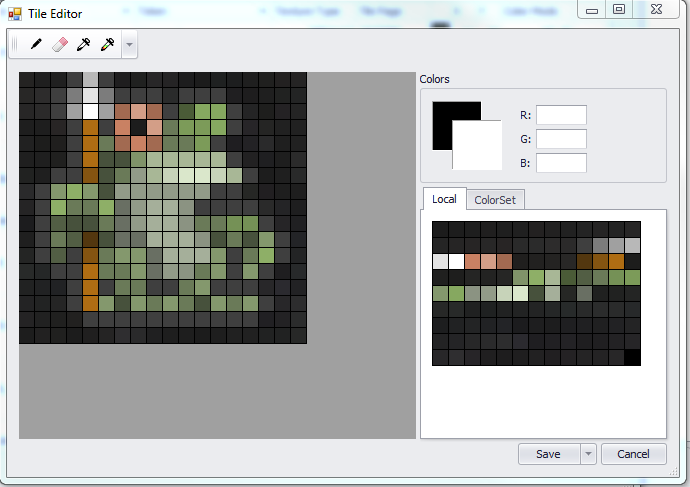 I may have already fixed the bug while doing general work on the program. One thing that I did see was that some of the raw files have an incorrect filename marker. 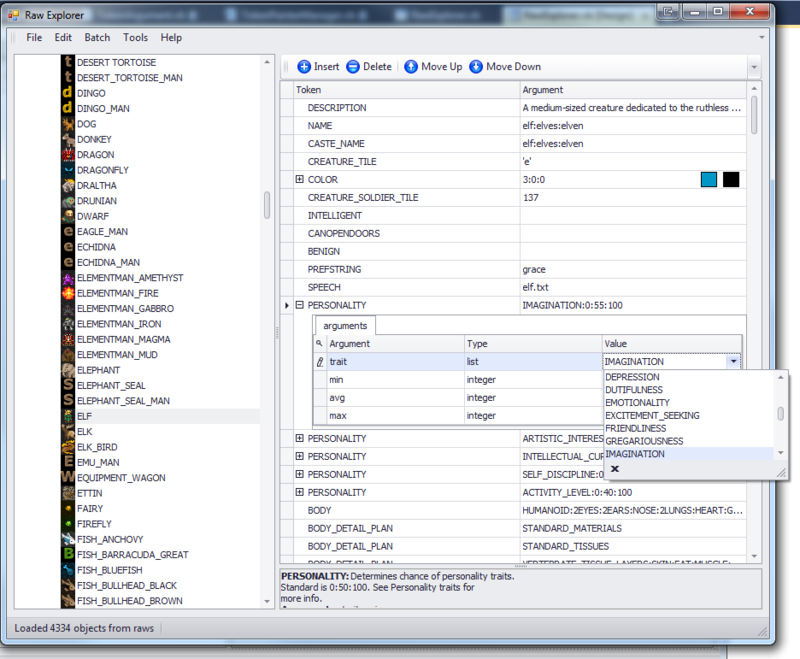 According to the wiki the first line of each raw file needs to match the filename of the file without the extension. Several of the raws that you sent me have the wrong values. Specifically creature_vlk.txt, creature_varulf.txt, reaction_vlk.txt, and others. I don’t know if this is an actually something that the game checks or uses, but I thought that I would mention it since they aren't strictly following the format. Thanks for supplying me with a new set of data to test against. Haha, facepalm. That's what I get for copying and pasting files and editing them, without actually checking them for errors. Search and comparing two or more files would be handy for most, I'm sure.